Just like us, pets rely on sight and sound for making their way through life. Unfortunately, our pets can't check or care for these vital parts without our help. It's important to regularly home check your pet's eyes and ears for signs of changes or problems. Below are things to look for to keep your pet's eyes and ears healthy. Observation is most important for early detection of any problems. Use a damp cloth to clean the discharge and crustiness from the eyes. Trim any hair that may get in your pet's eyes and irritate the pupil. Your pet may need to see our groomer to safely cut hair in this area. To properly clean your pet's ears, start with a wet cotton ball and work your way into the ear from the outside first. Use clean cotton balls as you work further inside...careful not to push too far in or you could damage the ear. 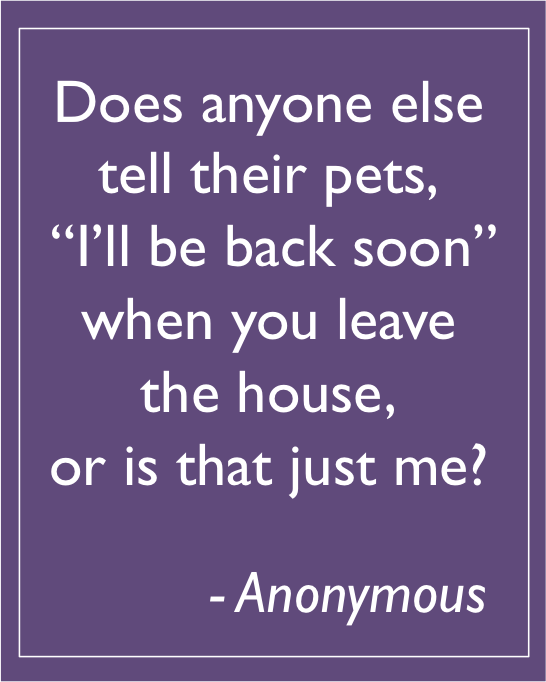 For more information visit PetCoach.com. If you notice something unusual, always err on the side of caution and bring your pet to see us. Keeping your pet clean and well groomed has many benefits. It's good for your pet's coat, skin, and provides bonding time with you. Brushing also helps remove dead hair, dirt, and dandruff. Regular brushing helps spread the natural oils, giving their coat a healthy sheen. One of the challenges we often face with some pets is their matted fur. A matted coat makes it more difficult to groom your pet properly. 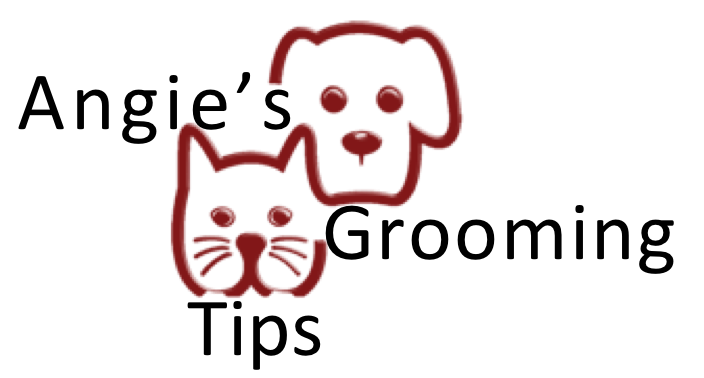 If the coat is too matted, the fur may need to be cut much shorter than desired. 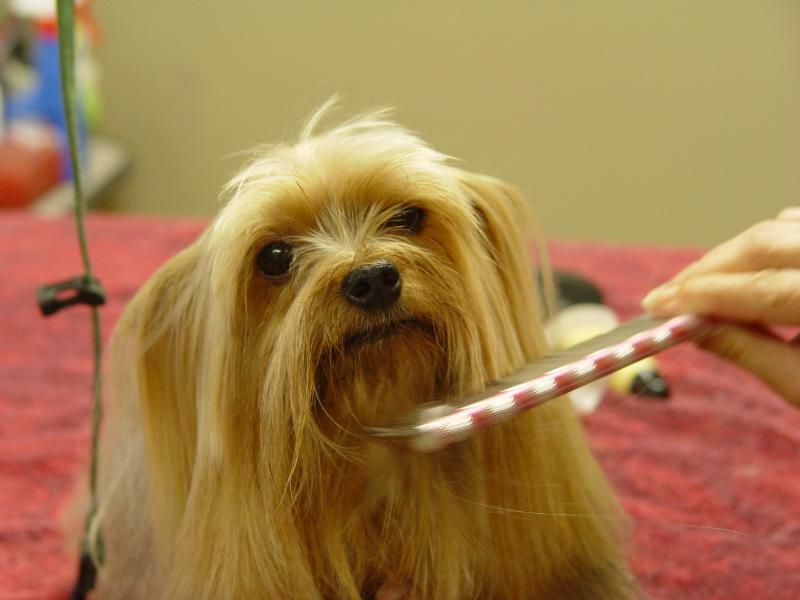 To help avoid the issues a matted pet will experience, take a few minutes each day to brush your pet. This will also teach your pet to stay clam while they are being groomed. Additionally, regular brushing can help uncover skin abnormalities, fleas, ticks, dry patches, and ear/eye infections. Catching these problems early offers the chance for a better outcome should they require medical attention. This year's disasters have been more damaging and widespread than usual. The need for supplies, for animals and people, is also greater and more urgent. You're recent contributions have, and are, helping many in Texas and Florida. 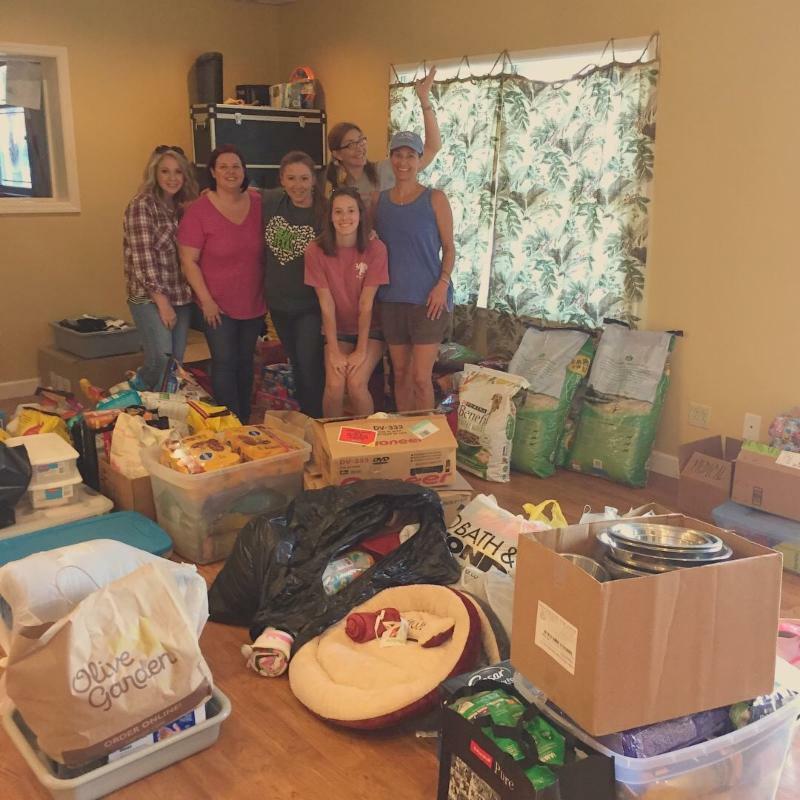 As a result of these, and other continuing disaster needs, Alabama Hearts continues to accept donations. 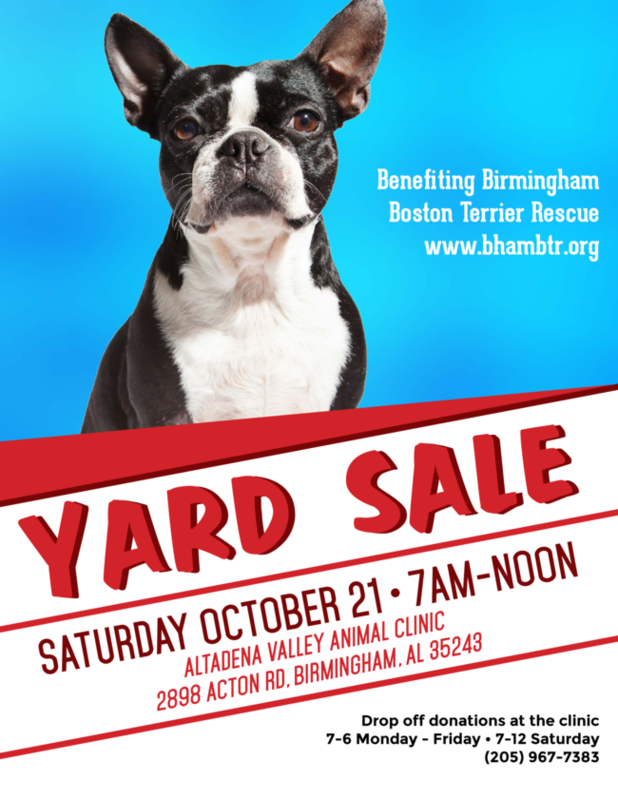 Altadena Valley Animal Clinic is proud to be a collection site and we appreciate any donation you can provide. 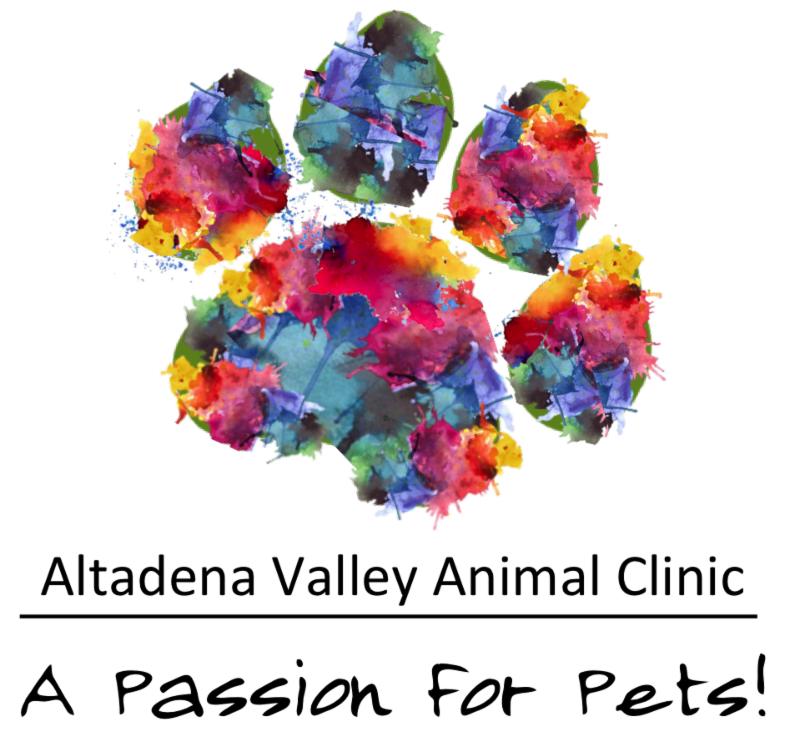 For more information on the work and items needed for our pet and people friends devastated by these disasters, please visit their Facebook page here. Learning the skill and art of grooming pets is challenging enough for most people...but add the pressure of your mother being your mentor and working side-by-side with you each day, and that might be an extra challenge for many. Fortunately, Stevie is so at home and in love with grooming, she embraces the opportunity to excel in her chosen career path. 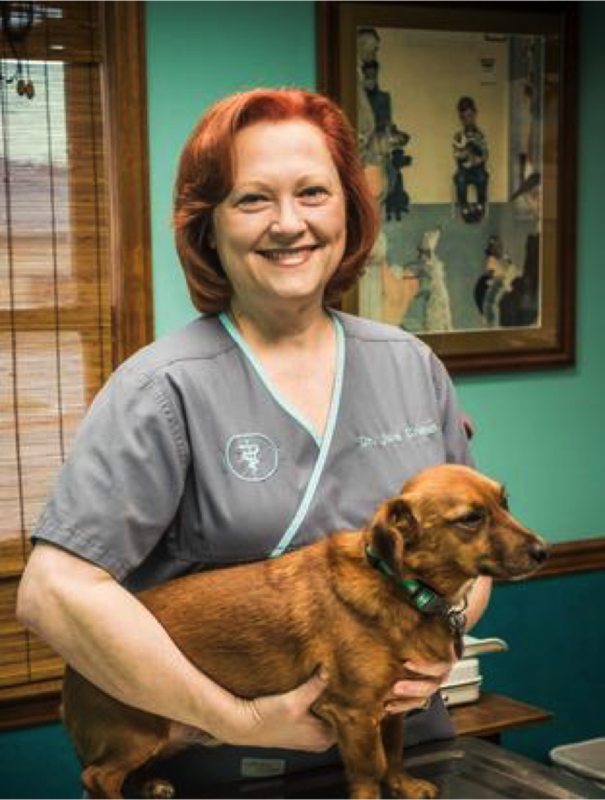 "One of my earliest memories was watching my mom grooming pets." Stevie said. 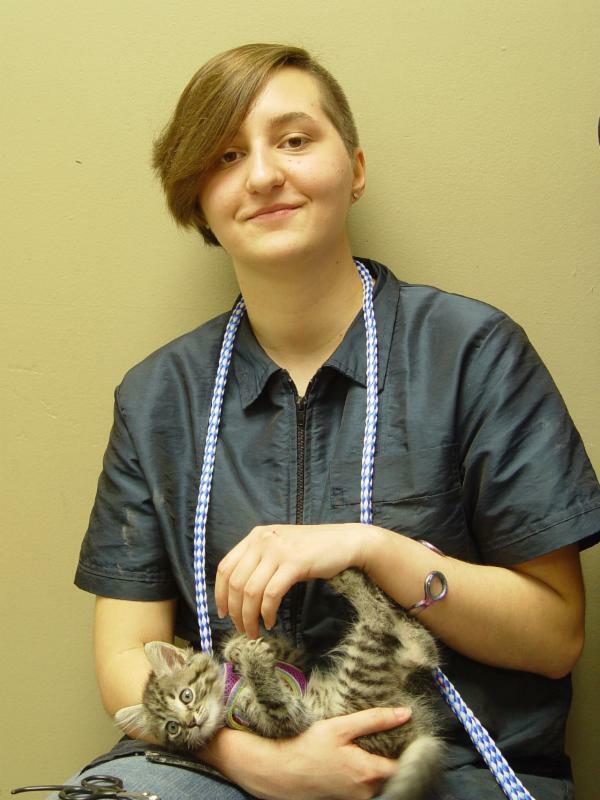 "It's what sparked my love of grooming" and set her goal to be a really "awesome, creative groomer". Stevie was born in Panama City, Florida and now lives on a farm with her family. 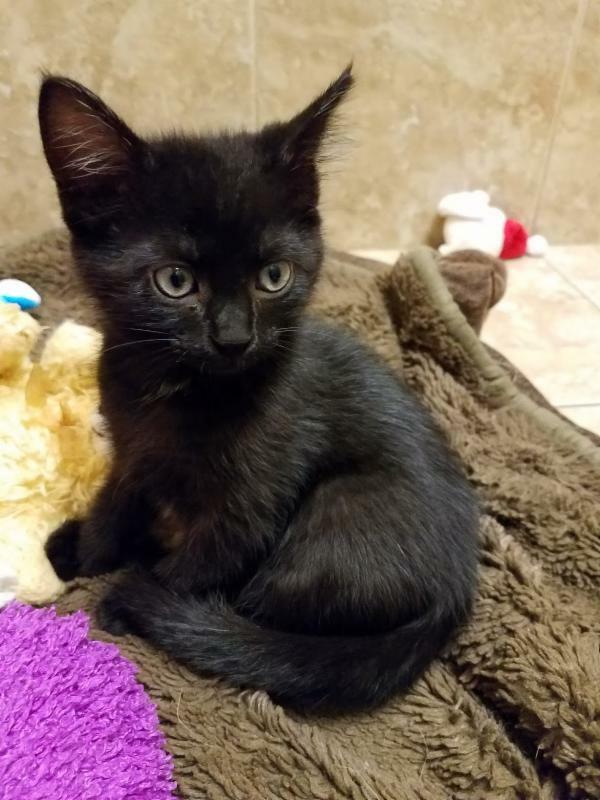 Aside from 6 siblings, her family includes Bear (Boston Terrier), Mambo (cat - pictured), two dogs (Cheech and Shoeshine), two horses, chickens, a silkie rooster, and a rose hair tarantula. Stevie definitely has a passion for pets! Stevie loves deep sea fishing, video games, movies, concerts, and enjoys working at AVAC because, "everyone is treated like family." Congratulations Stevie! 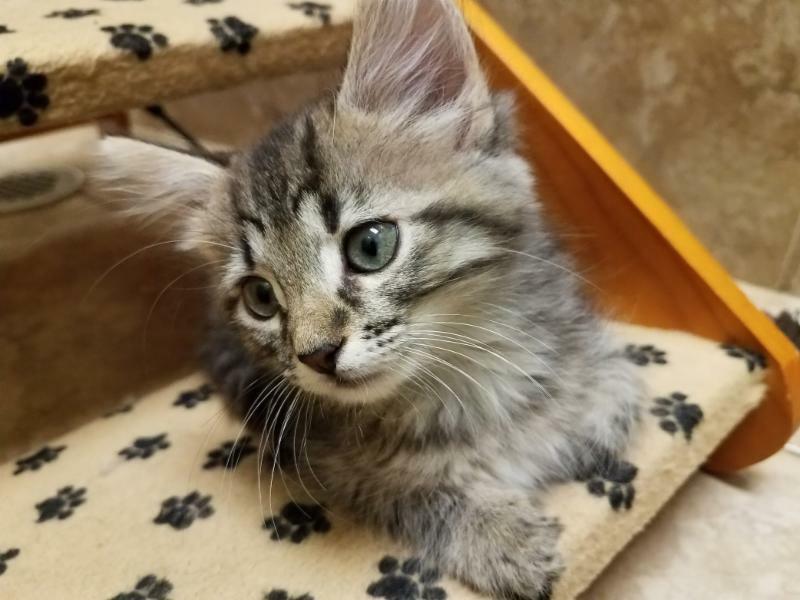 These cute kittens would love a forever home. They're just a few weeks old and are the sweetest kittens. If you are interested or know someone that would like to adopt a kitten, call 967-7383 for all the details. 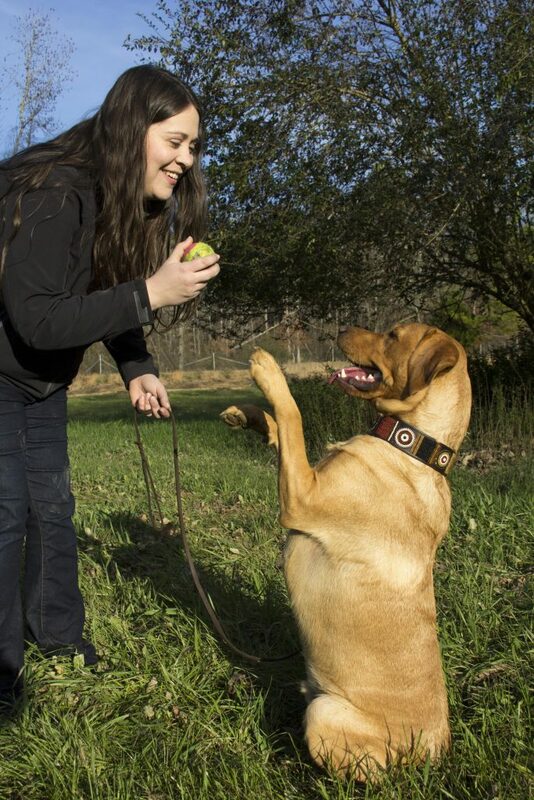 Dog Training Classes Are Back! 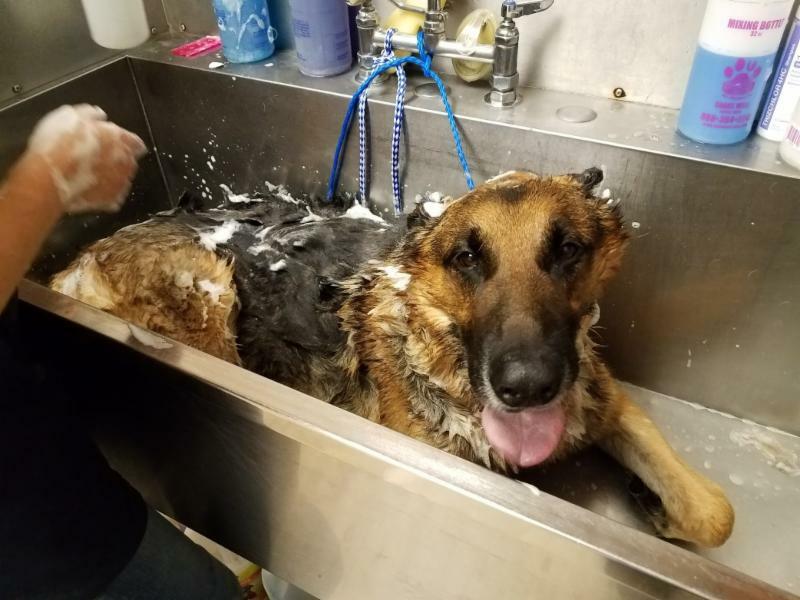 Diego loves his bath so much he likes to lay down and take advantage of a good, soapy massage.